It is now stocked in most bookshops, Amazon and the publisher’s website. Blackwell’s seems to be offering a good buy at £14.44 with free delivery. Used copies are already being offered. WH Smith is offering £14.00 but p&p not included unless you spend £20. Amazon has changed to £12.38 in recent days. Waterstone’s is selling at £20 with free delivery. 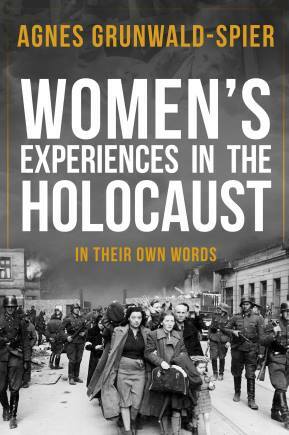 Eva Clarke tells me Beth Shalom Holocaust Centre in Newark is selling the book and the Jewish Museum in Camden Town, London said they would order it. The e book is now available on Amazon . It currently costs £11.86 which is cheaper than it was originally. There seems to be plenty of interest abroad. One chap from Lima in Peru told me on Twitter he wanted to buy the new book and a friend from Holland has already received his copy. Google shows bookshops all over the world are stocking it, so I hope lots of people buy it and read about these amazing women. People sent me photos of the last book on sale in New York, USHMM in Washington and the bookshop at the Auschwitz Museum. If you see the women’s book on sale abroad please do send me a photo. If you have read the book and enjoyed it, please put a review on any website of your choice. 5* reviews do make a difference to future sales.